Beautiful character cottage well exposed with clear view on the mountain in a very quiet subdivision, with a spacious garden (600 m²). Ideally located for a quiet holiday and for walks or hikes. Very close to St Lary and all shops. If you are fed up with those purpose built ski apartments for four people where they provide a bunk bed in a cupboard for one bedroom and a sofa bed in the living room for the other then this chalet is a fantastic alternative for about the same cost. On arrival the agency was easy to find and they greeted us with Vin Chaud, coffee (for the driver) and sweets for the kids. Very kind and a simple process to pick up the keys. Our kids loved the chalet it as they had a bedroom each, we ate meals round the dining table in the evenings with a roaring log fire. My wife and I enjoyed a bottle of wine after the kids were in bed and we found the peace and quiet and the extra space made for a lovely relaxing atmosphere. The chalet also has a big garden, which we used a bit but would be perfect if you were going in the summer. We had hired a small car and it was about a 7 minute drive from the chalet to the new gondola in the mornings. We just parked up and got our gear on in the car park. Much easier even than if you were staying in an apartment near the lift. You do really need a car to get around if you stay here, although you could walk in to town if you wanted. A nice walk along the river. 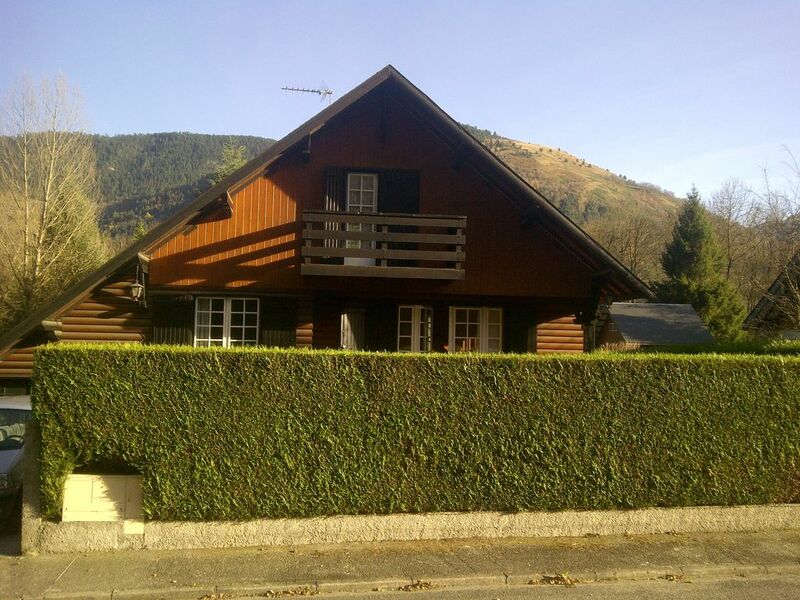 I would recommend this chalet to anyone looking for either a skiing holiday or a summer break in this area. Chalet chaleureux mais qui aurait besoin d'une petite remise à niveau. Nous étions 7 personnes et avons trouvé ce chalet spacieux et confortable. Le seul petit bémol concerne l'unique salle de bain un peu vieillotte. Chalet spacieux avec une cheminée bien agréable. Excellente semaine dans ce chalet à 2 km à peine du centre de st Lary. Cheminée fonctionnelle bien agréable en fin de journée à cette période. Pour les beaux jours, le côté jardin et son ensoleillement doivent être bien agréables. Logement très appréciable, spacieux et calme pour 7 personnes. La cheminée est un gros "plus" après une journée de ski! Adresse à retenir ... nous y reviendrons certainement!! !